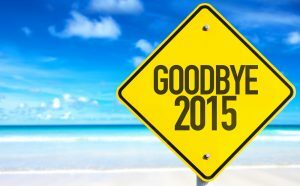 As 2015 comes to an end, you will find yourself reflecting on all that happened during the year, preparing for holiday parties, and thinking about potential New Year resolutions. While these are wonderful aspects associated with the close of the year, there might be something you’ve been overlooking regarding your oral health and your dental insurance. Allow us to remind you, so your 2015 goes out with a bang (and a lovely, healthy smile). Now that you’re thinking back fondly on 2015, we would like you to take a second to ask yourself whether you’re up to date on your preventive visits with us. Did you receive your dental cleaning and dental checkup earlier in the year but you have not yet seen us for your second of two annual visits? Do your smile a favor and schedule it now. Are You Filled In On Your Benefits? Do you know if your dental insurance benefits expire at the end of 2015? In most cases, this is how insurance policies work, which means you might need to take a closer look at the details to make sure you have planned your visits accordingly. The most streamlined approach is to call the customer service line listed for your insurance carrier, so you can receive the facts you need regarding benefits, coverage, and expiration dates. Are You Ready For Holiday Time? You only have a little over a month to put your dental insurance to good use, so ask yourself if you’re ready for holiday time. Do you need to see us to ask questions about changes with your smile? Is there something else on your agenda, such as a visit for a restoration you have been meaning to schedule? Make it happen before we ring in the New Year. At DentaCare Dental in Longview, TX, we focus on advanced technology, education, and comfort to offer every patient a pleasant experience and excellent dental care. To schedule a consultation, call our Longview, TX, office today at (903) 215-8223. For optimal convenience, we also serve patients at our other location in Tyler, TX. Call DentaCare Dental Group in Longview today! Our dentist’s understand that sometimes people have a hard time finding themselves at ease in the dental chair. Dr. Hobb’s and Dr. Wyatt work together to make your visit that you walk away from with a happier, healthier smile. Our hope is that those in the Longview area take advantage of the specials offered above. If you are in the Longview area and you’re ready to receive the high-quality care of truly professional dentist’s then schedule an appointment by calling us, at (903) 215-8223.